New year, same immature behavior on Instagram. 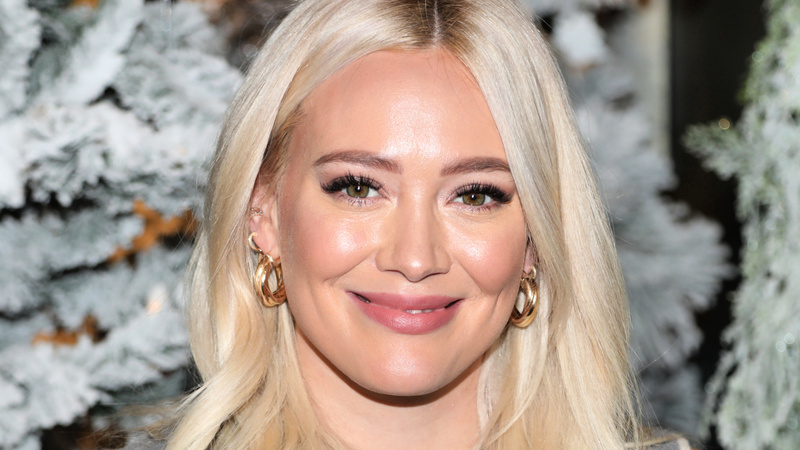 Dozens of commenters rang in 2019 with some good, old-fashioned (and wildly inappropriate) mom-shaming after actor Hilary Duff posted a photo of herself eating while breastfeeding her 2-month-old daughter, Banks. Were they angry Duff could drop pieces of crispy Brussels sprout leaves on her baby girl? Upset that she dared to take a bite of food with her eyes closed? Not quite. Instead, commenters referred to an earlier post from Duff — in which she revealed Banks has colic, a term the American Pregnancy Association says describes “any baby that cries for an extended period of time” — to criticize Duff’s dietary choices. Gas, either caused by a mother’s food choices or by the baby swallowing too much air while crying, can cause or worsen colic for the 20 to 25 percent of babies impacted by the condition; however, it’s not the only reason babies might fuss. The APA notes that a variety of factors can cause or enhance colic, including a heightened sensitivity to stimulation, hunger, acid reflux and an immature nervous system. Though frustrating for parents and uncomfortable for infants, colic typically goes away after three to nine months. In the meantime, parents can help ease excessive crying by holding and consoling their babies. Of course, it’s best to consult with your doctor to find a personalized plan that’s best for you and your family. Dios mio. There are many reasons Duff might have covered her daughter’s face. Maybe the sun was too bright, and she didn’t want to disturb Bank’s delicate eyes. Maybe she didn’t want her baby’s head or her breast to burn. And maybe — just maybe — it’s none of our damn business why Duff chose to cover up. It’s a new year, people. Instead of ripping each other apart for minuscule things, let’s focus on supporting each other through times good and bad. Or, you know, we could all vow to simply refrain from being jerks.